Why did you move back to Jamaica? I came home because I believed it was possible for my country to become a place of choice to live, do business, and raise a family. The vibrancy we’re seeing now gives me more hope than ever before that I chose the right place to call home. 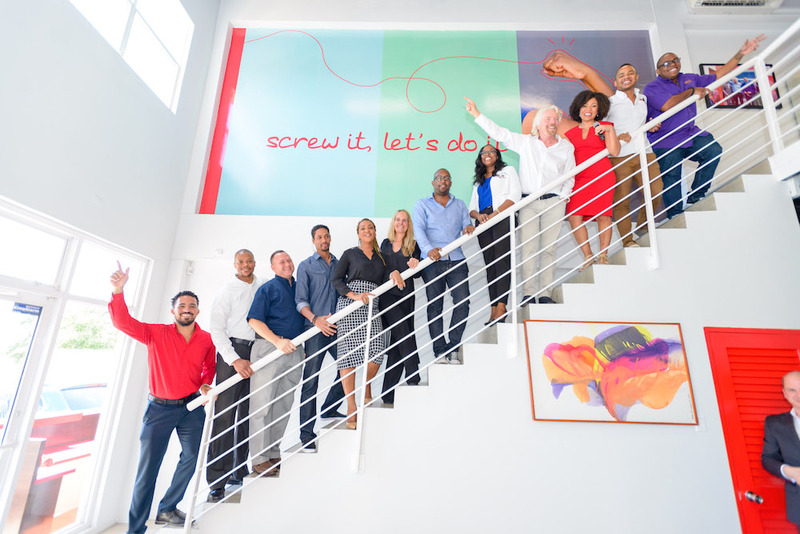 What do you love most about the ethos at the Branson Centre of Entrepreneurship – Caribbean? Coming from the finance world, which is a more aggressive industry, I was looking for a supportive, nurturing environment that was mission-driven rather than profit-driven. The Branson Centre provided all that and more. When I joined, it was an all-woman team, led by a powerful and compassionate female CEO, Lisa Lake. We had a bright, airy, beautiful office. Our mission was to change the lives of the entrepreneurs who were trying to change our economy, and that was very fulfilling for me. Can you describe the main aim of the ‘new-look’ BCoEC entrepreneur programme? We’re looking for that first Caribbean-based unicorn. We do this by selecting entrepreneurs who have built a track record of revenues, but who know they need help to scale further. For that reason, we currently have a minimum revenue threshold of about US$100,000. We provide our entrepreneurs with an advisory board, training, mentorship, and quarterly opportunities to pitch to investors for equity funding. We believe that more deals, more investment, and more growing companies will create even more dynamism in Caribbean economies. What is currently giving you a buzz? Seeing my first cohort of entrepreneurs now getting ready to IPO is very exciting! They’ve hired much larger teams; they’re travelling globally and bringing that knowledge home; and they’re inspiring a new generation of entrepreneurs to do the same. They’re no longer just entrepreneurs but are now emerging as business-leaders. That dynamism and mobility was missing in our economy for so long. How do you feel you can push the organisation forward as CEO? Originally, we wanted to help our entrepreneurs be better businesspeople by providing training that was practical, valuable and fun. But as their businesses grew, their needs changed from understanding business to preparing for the equity investment process. In order to move our organisation forward, we had to grow with our entrepreneurs. Now, we focus on helping them to scale up through equity investment, as we believe that we will increase our impact by helping to generate more deals, more transactions, and eventually more IPOs in the economies in which we operate. Caribbean culture has a reputation for being very laid back. How do you square that with being entrepreneurial? I recently read a report called Discovering Authentic Jamaica, which changed my perspective on this. Before, I thought it was a liability that our culture is more laid back, but now I view it as a real asset. There have been so many articles written recently about entrepreneurs who ran themselves into the ground establishing their companies. Caribbean entrepreneurs work really hard too, but it is a little more sustainable. The downside is we haven’t yet had a big ‘unicorn’ [very high-value start-up] success story, and that may be the trade-off. But I really believe that our entrepreneurs are showing the way to create multi-million dollar companies while still having a life.